It must be the impact of the Ayushman Bharat, the world’s largest healthcare scheme that Prime Minister Narendra Modi has been nominated for the Nobel Peace Prize. Yes, BJP’s Tamil Nadu unit President Tamilisai Soundararajan has nominated PM Modi for the prestigious award on Monday. In a press release from the party’s state unit said that Tamilisai Soundararajan along with her husband, Professor Dr P Soundarajan, who is the head of department and senior consultant in nephrology at a private university, has nominated the name of Modi for Nobel prize. "Prime Minister Narendra Modi has been nominated for Nobel Peace Prize 2019 for launching the world's largest healthcare scheme Pradhan Mantri Jan Arogya Yojana- Ayushman Bharat by Dr Tamilisai Soundararajan..." the release said. The name of Modi has been nominated after Modi launched the healthcare scheme on Sunday, 23rd September 2018. BJP TN unit President said that the vision of the PM Modi will transform the lives of the millions of the people of the country. According to the press release, the last date for the nomination for the Nobel Peace Prize 2019 is 31st January 2019. “The nomination processes start in September each year. University Professors and Members of Parliament among others can also nominate our Prime Minister," the release added. She also wrote, 'Please join me in nominating our visionary PM Modiji for Nobel Peace Prize 2019 for Launching the World's Largest Health Care Program#AyushmanBharat-"Pradhan mantri Jan arogya Yojana " which ensures access to quality Healthcare services for the underprivileged. “As a doctor, I have seen sufferings of poor people at times of medical emergencies for want of money to get quality medical care. I have witnessed how government insurance schemes helped patients during my higher education in Canada. Now our PMs #AyushmanBharat yojana a boon to poor. @PMOIndia,” she tweeted. Meanwhile, PM Modi launched the healthcare scheme on Sunday. 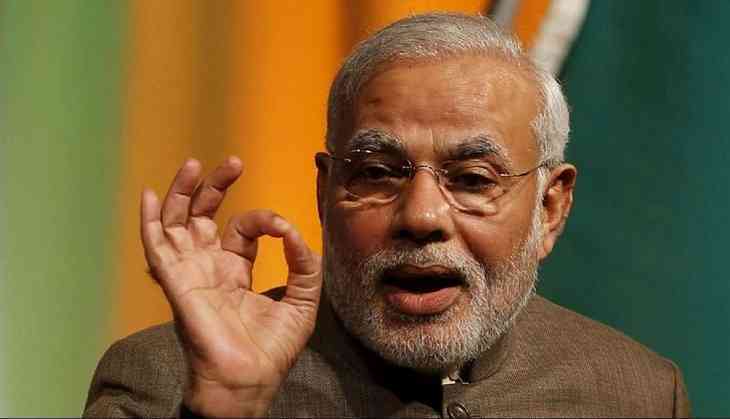 Modi has also said that it is the biggest government sponsored scheme in the world.